Over 75% of purchases in the UK are processed through debit and credit cards, and it’s the fastest growing payment option. If you’re selling in a physical location, you almost have to accept cards and that means renting or buying a credit card machine. While both options are valid for any size business, credit card machine rental is popular and a good option for most. So let’s see the full credit card machine rental guide. Not every PDQ machine rental contract is the same. Different merchant account providers and card terminal suppliers offer different rates, contract terms, and fines. You have to watch out for costs, hidden fees, long contract terms, and make sure you’re getting a quality machine and service for your money. No matter where or how you’re selling, it’s important that you get a good deal on your credit card machine rental. A standard rental contract is a minimum of about 18 months, so you want to know that you’re not over paying or locked into a contract with little support or services. Credit card machine rental costs can vary a great deal from supplier to supplier, even when you’re renting the same machines. In most cases, monthly costs start at around £20 and go up to well over £50 per month. Not all merchant account providers charge these fees. However, the majority will. So, it’s important to pay attention to the terms in your contract and additional fees. In many cases, ink/toner and paper costs are not included in the basic costs. Credit card machines are point of sale terminals, but you may also be able to rent a full PoS with electronic inventory management and till management. Clover is the most popular all-in-one brand in the UK, and is an iPad-based ePoS. Point of Sale terminals start out at around £47 per month including a card machine. What About Budget Credit Card Machine Rental? There are plenty of credit card machine providers who offer discounted rates, sometimes as low as £4.95 per month. However, it is important that you review your contract carefully, check to see if you can reprogram the machine yourself to work with your merchant account provider, and ensure that you are getting as good of a deal as you think you are. 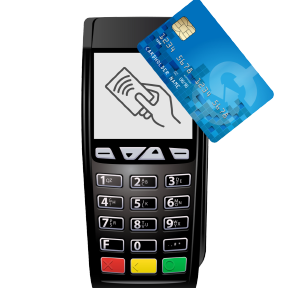 Transax offers the lowest card terminal rental costs in the UK, with rates starting at £4.95. However, there are hefty additional fees and transaction rates start at around 3.5%. Transax also works directly with Elavon, allowing you to set up your merchant account processing through an international acquiring bank. However, with a minimum contract duration of 48 months, Transax also has one of the longest auto-renewing contracts on the market. And, while there is no termination fee, you can’t cancel either, so closing your account early means you will have to buy your way out of the contract. Credit card machines are typically available in 3 models, countertop or desktop, portable, and mobile. Countertop or desktop machines are basic models which connect over broadband or Ethernet. These models are the cheapest, typically support all payment methods, and are ideal for use at traditional retail counters. Most offer full payment offerings including NFC and contactless, magstripe, and EMV payments. Premium options offer customisation, extendable pin pads, touch screens, and large colour screens. Portable credit card machines are standard in hospitality and serving industries. These models are typically wireless and connect to a base unit using Bluetooth or WiFi, enabling you to accept payments at tables or on-location. Premium models include better printers, digital receipts, and automatic synchronisation with ePoS. Mobile card machines are feature 3G connectivity, allowing you to accept payments from anywhere. These machines often feature advanced features such as cloud receipts, strong security, and printers or ePoS synchronisation, which can greatly increase costs. However, they are essential for any company offering on-location sales. There are dozens of credit card machine rental companies in the UK, ranging from providers who supply only machines to full-service merchant account providers. Each has its pros and cons, but in most cases, a full-service provider offers lower rates by combining monthly and service fees so you’re not paying for your account twice. You can also negotiate a custom contract based on your business needs with most merchant account providers. Most credit card machine rental terms specify a minimum 18-month lease. While some contracts range from 0-48 months, you should expect 18+ months with startup fee and a termination fee. Startup fees average around £125 while early termination fees average at £250. 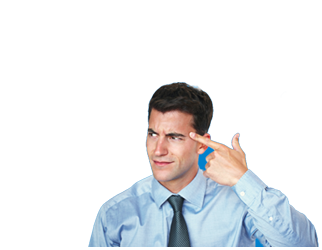 No Early Termination Fee – Many rental contracts now specify no early termination fee. However, if the contract is set for a minimum number of months, chances are that you won’t be able to cancel the contract at all. If you want out of it, you’ll have to buy your way out, meaning you’ll have to pay the monthly fee for the remaining months on the contract (and possibly the minimum monthly service charge as well). This can add up considerably. For example, if you’re paying £18 per month on a 36-month contract + a minimum monthly processing fee of £15, buying your way out of 18 months will cost £594 before considering terminal liquidation. Getting a good deal on credit card machine rental means considering the total costs of your merchant account, and choosing a combination of quality and value. Consider comparing at least three merchant account providers, getting quotes, and looking at total costs rather than just rental fees.